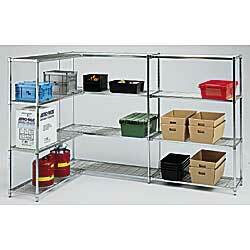 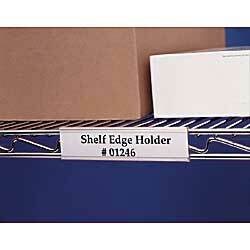 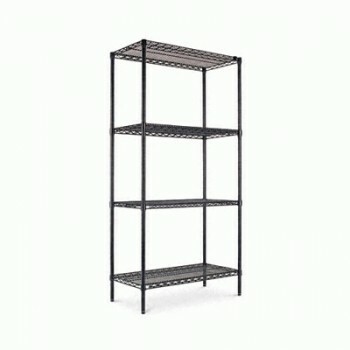 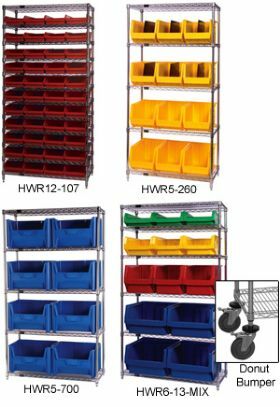 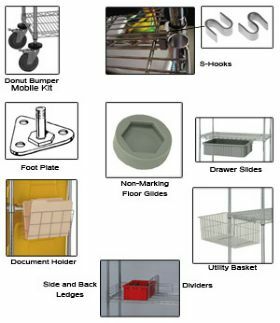 Material Handling Solutions has a large selection of Industrial Chrome Wire Shelving at low prices. 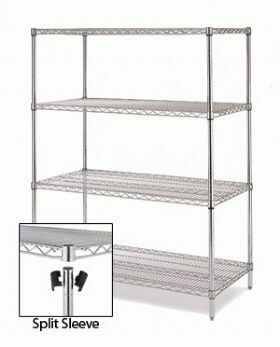 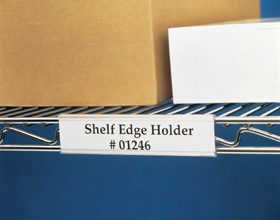 All of our Chrome wire shelving is NSF certified. 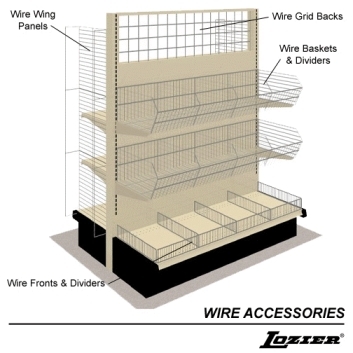 Our chrome wire shelving ranges from 500 lbs capacity to 800 lbs capacity per shelf. 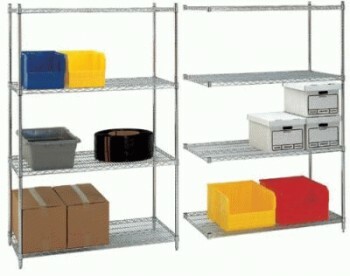 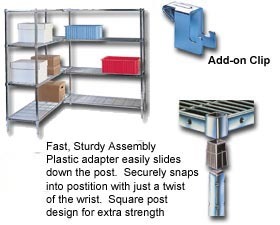 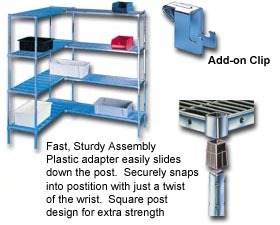 They are perfect for industrial applications or kitchen wire shelving. 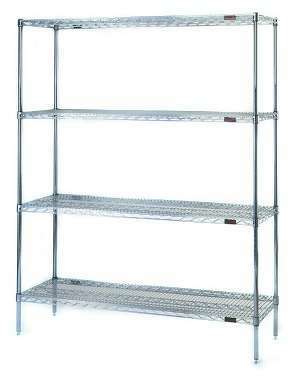 If you are designing a chrome wire shelving system, call us for assistance. 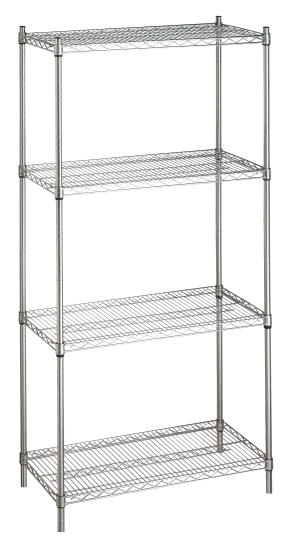 Our Quantum Storage Chrome Wire Shelving sale includes free shipping on 2 units or more. 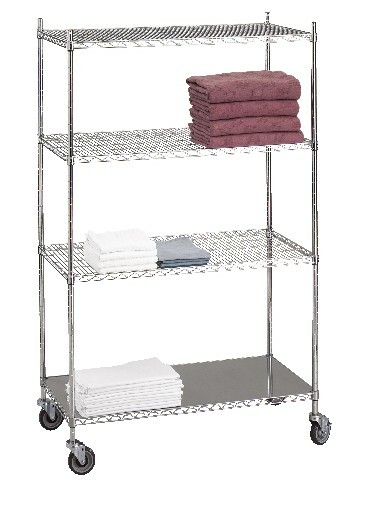 Each unit comes with four chrome shelves. 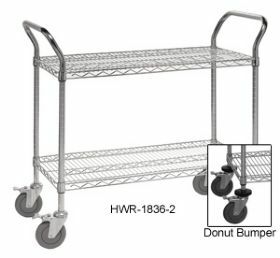 Just add wheels to make your chrome wire shelving a cart. 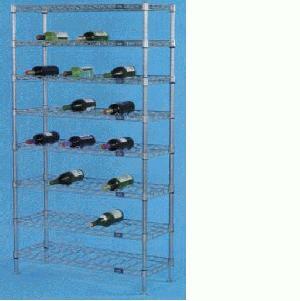 Call us toll free and one of our specialists wiill assist you. 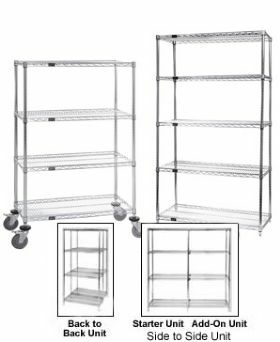 FREE SHIPPING ON 2 or more units!